Aside from it being the first day of Spring it is also the very anticipated release date of the movie Insurgent, the second movie of the Divergent series. 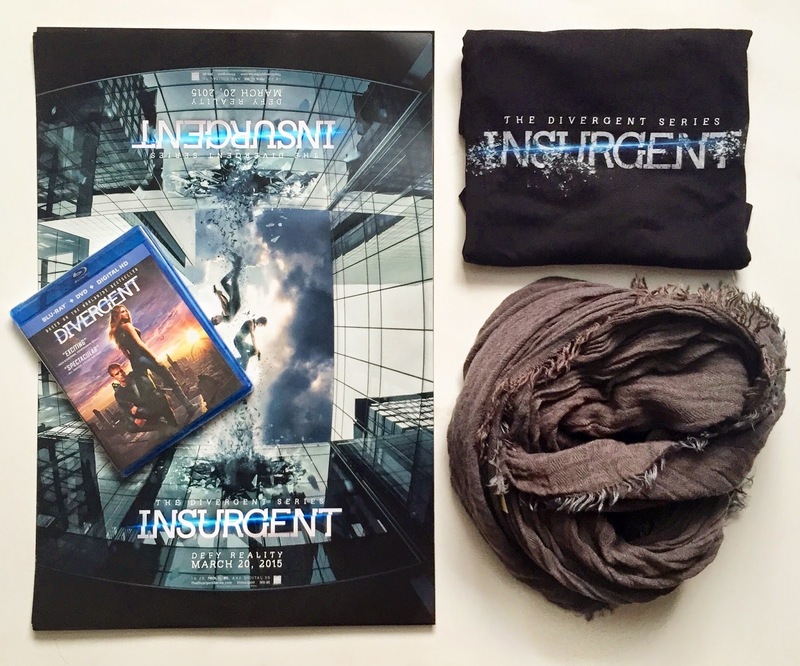 I recently hosted a local giveaway of local screening tickets and I wanted to host a giveaway for everyone, regardless of location so in honor of the release, today I bring you an Insurgent themed prize pack! You can enter for a chance to win everything in the picture! This Giveaway will run until 11:59pm PST Thursday March 27, 2015 and is open to participants worldwide. The winner will be chosen at random using Rafflecopter's random.org, verified, and contacted via email! It will be announced and displayed in the Rafflecopter widget by the Monday thereafter. This giveaway is sponsored by Lionsgate. Insurgent is out in theaters now, make sure to see it! I saw the movie during the early screening and even though the plot alone is amazing, the special effects really boggled my mind, they really outdid themselves! It had me at the edge of my seat and now I feel convinced I need to read the books. Don't forget to hashtag #INSURGENT and #DEFYREALITY with your reactions! I haven't seen the movie yet, but it looks great. Thanks for the giveaway. Haven't seen this one yet. Saw the first one and was really good.